It’s like the Wonder Twins from Super Heroes DC comics when they say “Wonder Twin Powers . . . ACTIVATE! Form of . . .” and then they would pick their form. Remember that? I realize I’m totally dating myself here. Fun show. Anyway, back to the subject at hand. 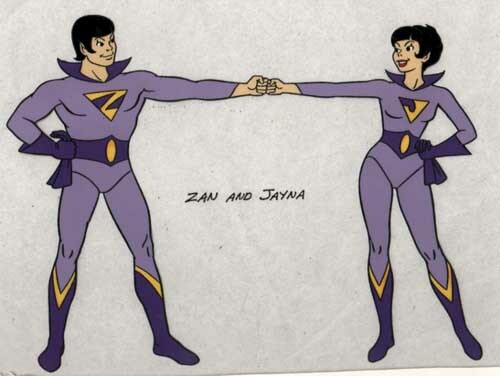 Why did the Wonder Twins never form into timers? Did they not realize the POWER that timers ooze? Well, I guess they don’t ooze anything. Thank goodness for that. BUT, timers have power, that much is clear! And I’ll be posting how I use my timers & if you’re brave enough, which I know you are, then you’ll be just itching to try these tips out. You’ll be soooo glad you did! Ready? Tip #1: Pick 2 tasks or jobs that you want to work on today. Preferably 1 sitting down job & one moving around job. This will work best at home when you’re not at work (unless your boss lets you get up & go places all the time). For example: Sitting job could be paying bills, catching up on emails, personal stuff requiring a computer, etc. Your moving around job could be making beds, doing dishes, general cleaning of the house. It doesn’t matter. Just pick 2 things. Now, here’s the magic. And I must preface this by saying that this is where a lot of people make their mistakes. I’ll explain in another post why this is. — Back to the magic! Set your timer for 10, 15 or 20 minutes, but NO MORE THAN THAT! I set mine for 15. Perfect amount of time for me. Start doing one of your jobs (it doesn’t matter which one you start with). When the timer goes off . . . STOP!! Remember, you have to trust me & be brave. Step out on a limb here. Walk away from what you’re doing. — Now, re-set your timer for another 10, 15 or 20 minutes. Start doing the other job you’ve chosen. When the timer goes off . . . STOP!! — Re-set your timer & go back to your first job. Repeat this process over & over again until the jobs are done. Pick 2 more jobs and repeat. This entry was posted in Uncategorized and tagged jobs, tasks, timer. Bookmark the permalink. It’s funny because I used to use the timer for everything (until it broke and still haven’t replaced it), but now my body is so in-tuned for those breaks to move onto something else. I automatically break move onto something, come back, and repeat. I think we all need to pull ourselves away from things. In some ways it recharges us when we come back to the original. Great for kids too – they challenge themselves to beat their old time. I know…it grows on you! I feel so much better when I keep my body moving & the timer sure helps me do that. And yes, kids love timers, too, almost more than some adults! Adorable…I LOVED that show…but why was one of them always a bucket of water?